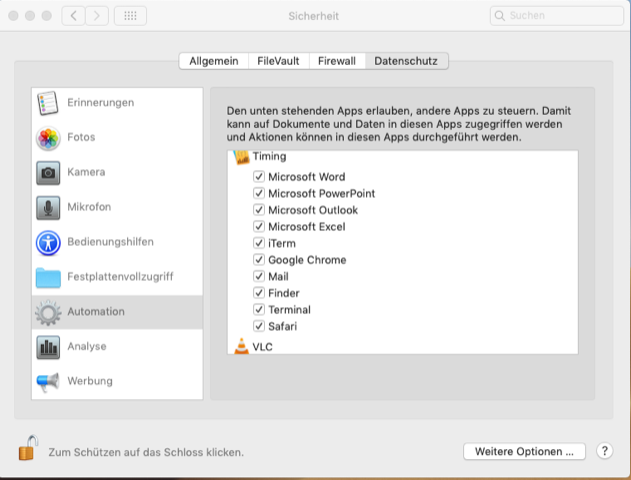 In system preferences, security at "Automation" there should be an entry for Path Finder that allows to control Mail. It's not there now. Maybe it's deleted in the course of a Mojave upgrade I've done to newest 10.14.3 supplemental. I don't know. nti closed this discussion on 11 Feb, 2019 12:13 PM. Path Finder Support Team closed this discussion on 12 Feb, 2019 07:56 AM. Thanks for your answer. No, sorry. I've completely deinsted PF with „CleanMyMac“ and additional controlled every entry that is said on your website. After new installing it PF does still nothing when I click on „eMail“. 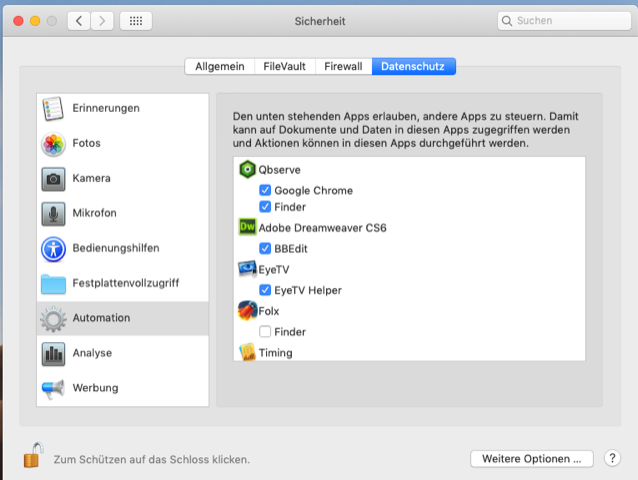 Also the entry in security „automation“ for Pathfinder and Apple Mail is still missing. Path Finder Support Team closed this discussion on 12 Feb, 2019 08:51 AM. Did all what you said. On my MacBook (I’m on my MacPro now) it works without doing such terminal tricks. But there is an entry in „Automation“ for PF to control mail (but not in "Full Disk Access“). The entry for automation is missing on my MacPro. > xattr -d com.apple.quarantine /Applications/"Path Finder.app"
> You won't get any feedback or output from that command, but that's okay because you can just run the first command again to see for yourself if the `com.apple.quarantine` attribute shows up again. It shouldn't, and now Path Finder is freed from Apple quarantine jail. Restart your PathFinder now. > Don't hesitate to contact us should any questions arise. I'm submitting this issue for our developer to review it, sorry for the inconvenience. After executing the command, everything is fine again. > Did all what you said. > On my MacBook (I’m on my MacPro now) it works without doing such terminal tricks. But there is an entry in „Automation“ for PF to control mail (but not in "Full Disk Access“). The entry for automation is missing on my MacPro. >> xattr -d com.apple.quarantine /Applications/"Path Finder.app"
>> You won't get any feedback or output from that command, but that's okay because you can just run the first command again to see for yourself if the `com.apple.quarantine` attribute shows up again. It shouldn't, and now Path Finder is freed from Apple quarantine jail. Restart your PathFinder now. >> Don't hesitate to contact us should any questions arise. Thank you very much for the feedback! We appreciate your contribution. Path Finder Support Team closed this discussion on 12 Mar, 2019 10:02 AM.